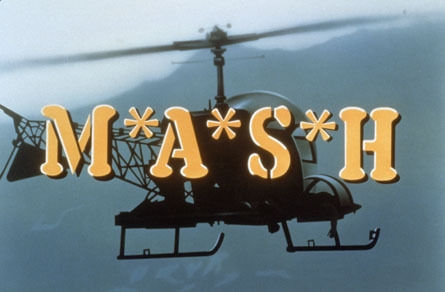 M*A*S*H was an American television series from 1972 to 1983. Inspired by the film of the same name but taking names and general situation rather than the darker tone of the film, M*A*S*H (Mobile Army Surgical Hospital) is a sitcom about an outfit of medical workers stationed in Korea during the Korean War. Features Alan Alda, who wrote and directed some of the most emotional and award winning episodes; Loretta Swit; Jamie Farr; Gary Burghoff; Mike Farrell; Larry Linville; David Ogden Stiers; William Christopher; Harry Morgan; Wayne Rogers; and Mclean Stevenson.Gary Burghoff (Radar O’Reilly) was the only MASHactor to reprised his role from the movie, retaining his extraordinary ability to detect the arrival of choppers transporting wounded long before anyone else could hear a thing. When Burghoff left the series, the company clerk role was taken up by Jamie Farr (Corporal (later Sergeant) Klinger, whose cross-dressing never got him the discharge he wanted). Viewed as one of the most popular sitcoms in history, it is still a very popular syndicated series. Originally seen as an ensemble show, it became one centered around Alan Alda’s character, Hawkeye Pierce. The series used the theme song “Suicide is Painless”, which was taken from the film, though without the lyrics. Some critics said the series seemed to be more about the Vietnam War, given the attitudes of the characters, than about the Korean War — despite its Korean setting. The series was followed by After M*A*S*H starring Morgan, Farr, and Christopher reunited in a Midwestern hospital after the war. It was not well regarded, and was quickly cancelled. All other seasons are available as well.